A recipe created from restored brewing records from the 1800’s. The use of traditional coloured and roasted malts give a unique rich and luscious flavour. As detailed above, this is a lost recipe that has been recreated for the modern ale drinker. To date this is one of my three favourite porters or dark ales. It’s very light and smooth, it’s tasty but not too rich which can sometimes happen, which leaves me feeling like I need to cleanse my palette a bit before drinking some more. It’s a rich dark brown, almost black in colour, and there are hints of liquorice, toffee and coffee. It isn’t bitter and it isn’t fruity, which I’m not a fan of in pale ales and you sometimes get with some American hops. A real earthy drink that doesn’t leave a bitter after taste and it’s only 3.7% so a couple in a row is not going to leave you too fuzzy. 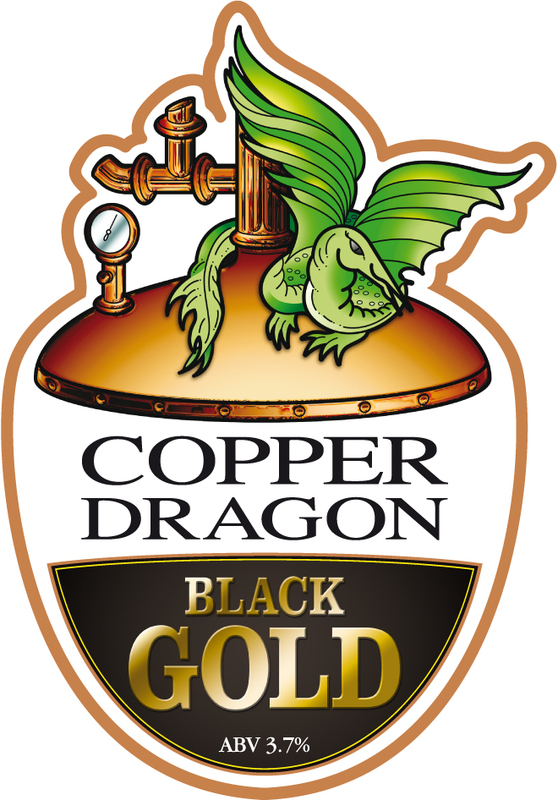 The Copper Dragon Brewery in Skipton has been around for a while and they produce an interesting range of beers and have recently diversified into producing a pilsner beer called Radka. I’ve not made it up to the brewery yet but it’s definitely a place that I want to visit, go on a tour, and maybe purchase a couple of ales from the shop.